Your editor used to say that once-respectable education historian Diane Ravitch discredits herself with every book, column, and tweet. This isn’t true anymore. Not only does she expose her intellectual disingenuousness through Twitter, her op-eds, and the Bridging Differences column in Education Week she shares with the equally retrograde Deborah Meier, Ravitch even has her own eponymous blog from which to cast straw men and ignore inconvenient facts about the nation’s education crisis. On Monday, in her attempt to dismiss the concerns of those rightfully ringing alarm about the science results from the 2011 National Assessment of Educational Progress (and the increasing evidence of the low quality of science instruction and curricula) , Ravitch attempted to argue that there is in fact slow and steady improvement in how we are educating our children. Certainly Ravitch ignores the growing evidence of the nation’s education crisis (including low graduation rates in urban districts), and she fails to acknowledge that American public education still isn’t providing kids with all of what they need to be successful once they graduate high school (as seen with the high levels of college freshmen in remediation classes). But she is right that there are fewer numbers of children struggling with illiteracy and innumeracy. While Ravitch makes the wrong step of using NAEP data from 1992 (which doesn’t include data from states that didn’t begin voluntarily participating in NAEP until 1998 and were fully required to do so in 2002, and thus incomplete), Dropout Nation notes that the percentage of all fourth-graders reading Below Basic proficiency declined from 39 percent in 2002 to 33 percent in 2011, making it likely that 217,432 fewer fourth-graders were functionally illiterate — and likely to drop out — in 2011 than nearly a decade earlier. Far too many kids are still condemned to poverty and prison. But we are making some progress in helping more of them stay in school and on the path to better lives. 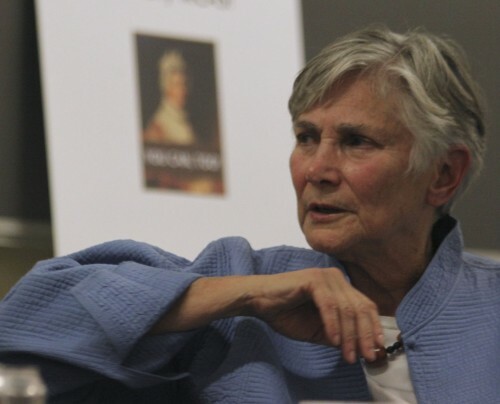 But in the process of arguing that fewer students were doing poorly than two decades ago, Ravitch failed to acknowledge the critical reason why this has happened: The very reform efforts — including the standards and accountability initiatives embraced a decade ago in the No Child Left Behind Act — that former school reform dilletante now opposes so fiercely. This isn’t shocking; after all, Ravitch has a penchant for ignoring the facts (and even rewriting history) when it suits her. And in this case, any fellow traditionalist can understand why. After all, Ravitch would have to acknowledge that the modern school reform movement, which began with southern governors and chambers of commerce at the end of the 1970s and began to gain traction in 1983 with the Reagan Administration’s publication of A Nation at Risk, has actually done plenty of good in advancing college-preparatory standards, pushing for the end of near-lifetime employment for even the worst-performing teachers, instigating the expansion of school choice and the development of charter schools, and articulating that traditionalist thinking Ravitch now defends is morally, intellectually, socially, and economically unacceptable. More importantly, Ravitch would have to also admit that No Child spurred a round of reforms — including the efforts of New York City Mayor Michael Bloomberg and the chancellors who served under him since the mayor took control of the Big Apple’s school district — are making progress. And in the process, Ravitch would have to admit that a new wave of reforms, building upon those spurred in the previous three decades, will further render moot the practices, policies, and soft bigotry of low expectations from which she now profits. So, of course, Ravitch would dance around the role of systemic reform efforts in helping more young men and women stay on the path to economic and social success. She’d have to admit to her intellectual and moral charlatanism — and stop debasing her legacy. Um, NAEP scores don’t offer explanations. She’s just writing about how the scores have changed. She doesn’t need to explain why in order for the piece to be valid. Furthermore, you haven’t explained here why the reform efforts Ravitch opposes are responsible for the gains.